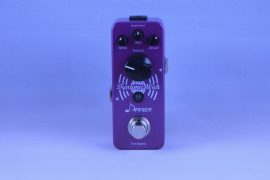 The Dunlop Rotovibe is one of the most commonly used, yet infrequently discussed, mass produced pedals available today. 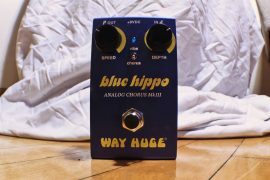 Zakk Wylde, Prince, Billy Corgan, Kim Thayll, James Valentine, Buddy Guy, Jack White, Omar Rodriguez-Lopez, and Jerry Cantrell, amongst many others, have been known to keep one of these on their pedal boards. At the most basic level, the Rotovibe is made to emulate the sound of a Leslie rotating speaker, like what you might hear on 60’s era psychedelia, or coupled with a Rhodes keyboard for a swirling effect. However, the Dunlop Rotovibe is actually two effects in one: Vibrato and Chorus. One of the best things about the Dunlop Rotovibe is that it is so easy to use live. Dunlop chose to house this pedal in an expression pedal casing, and thus all of the controls can be modified by foot in real time. 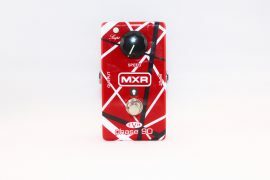 Rock the pedal forward and the modulation Speed of the effect increases. Rock it back to the heel position, and listen as your psychedelic sound mellows out. 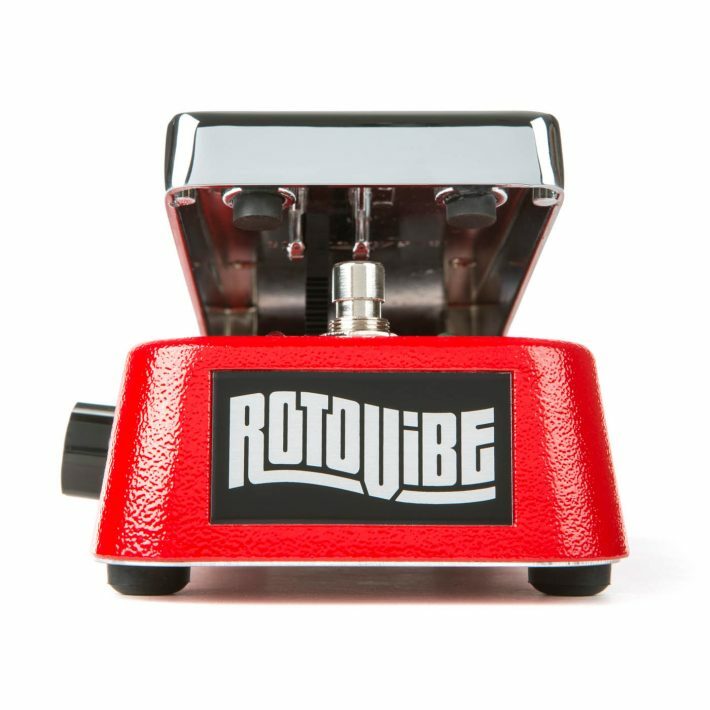 Unlike most traditional modulation pedals, the Rotovibe has two LED lights at the very top of the pedal that flash in sync with the effect speed (kind of like a tap delay indicator), which are perfect for discretely and precisely changing this parameter while playing. 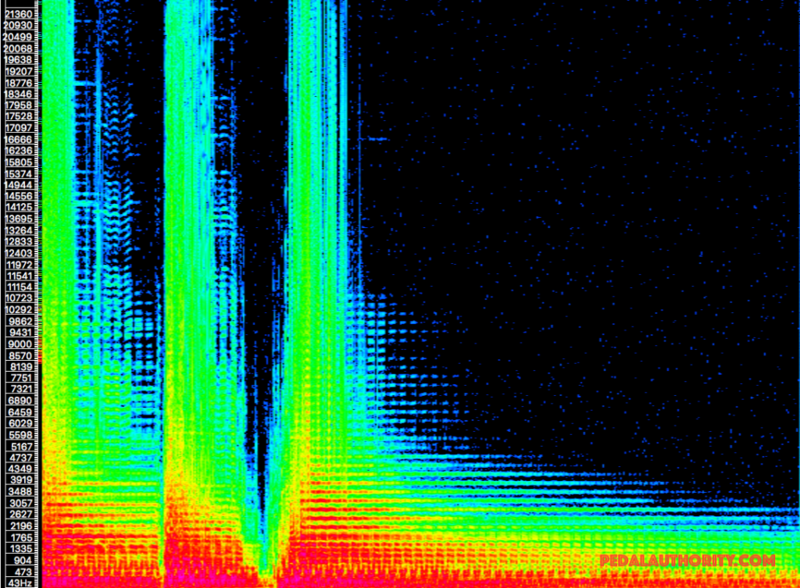 One light is Green, and is assigned to the Chorus effect; the other is Red, and is assigned to the Vibrato effect. The knob on the right side controls the Depth of the effect, and comes standard with a rubber knob cover that easily grips to your shoe. This makes tweaking the depth on the fly a breeze as well. Finally, the button on the heel end of the Rotovibe switches between the Vibrato (Red) channel, and the Chorus (Green) channel. This button is something that has been included on a variety of Dunlop pedals in recent years, so you may already be familiar with how it works and what to expect. Basically just tap it with the side of your foot, and the pedal changes channels. The Vibrato effect is not exactly a carbon copy of a Leslie rotating speaker, but it is much more organic and natural sounding than a tremolo pedal. If you are looking for some extra shimmer in your tone, but don’t want something too sterile, the Rotovibe may be a good alternative to a tremolo effect. Remember, tremolo involves the manipulation of the volume, while vibrato involves the manipulation of the pitch. At some of the lower settings (speed as well as depth), the Rotovibe is nearly unnoticeable, and adds just a touch of color to your sound. 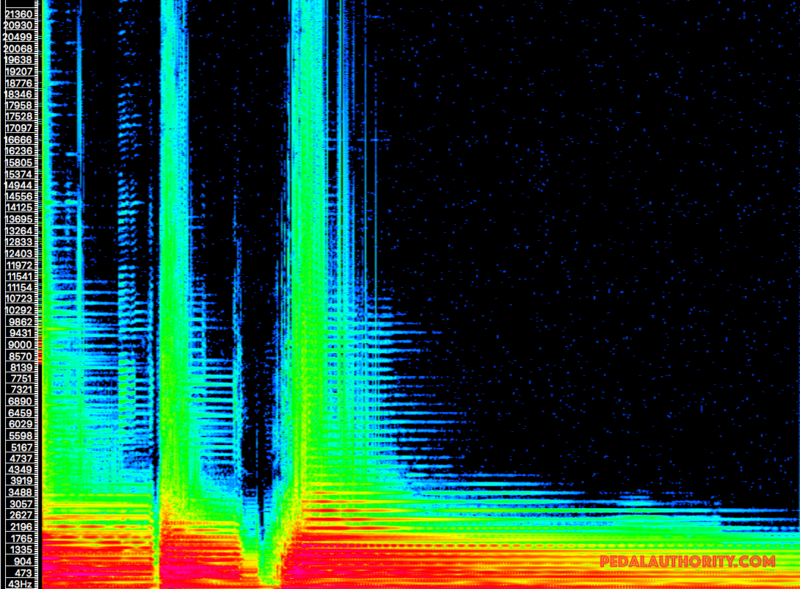 Crank it up, and you can quickly change the sound of your instrument into wobbly, wavy goodness. The Chorus effect is also somewhat idiosyncratic. Rather than providing you with a classic, wet chorus effect, the Rotovibe offers a slightly “dirty” sound, which sounds good at both ends of the speed/depth spectrum. 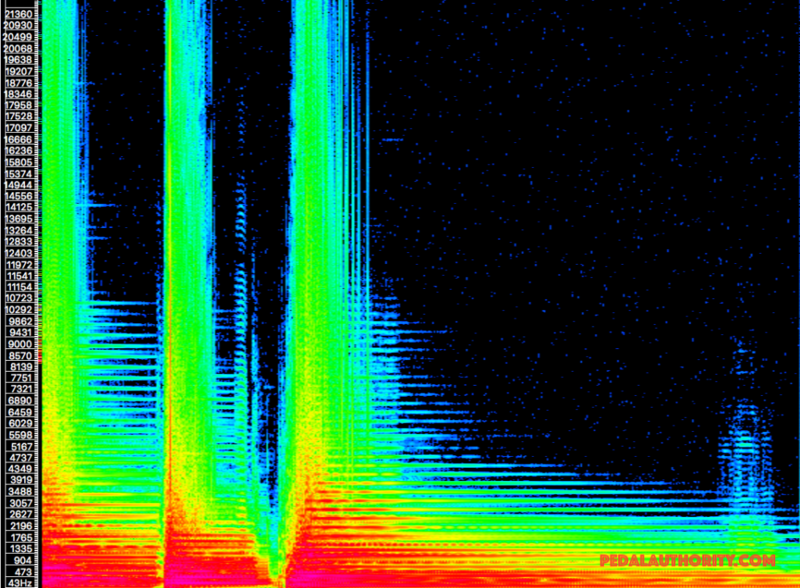 Imagine someone blended a touch of an old phase shifter into the wet signal of the chorus channel, and you’ve got the basic idea. This channel adds a little extra “throat” to your sound, and is perfect for adding some mojo to your rhythm playing as well as a little rowdiness to your lead playing. The casing itself is beautiful. 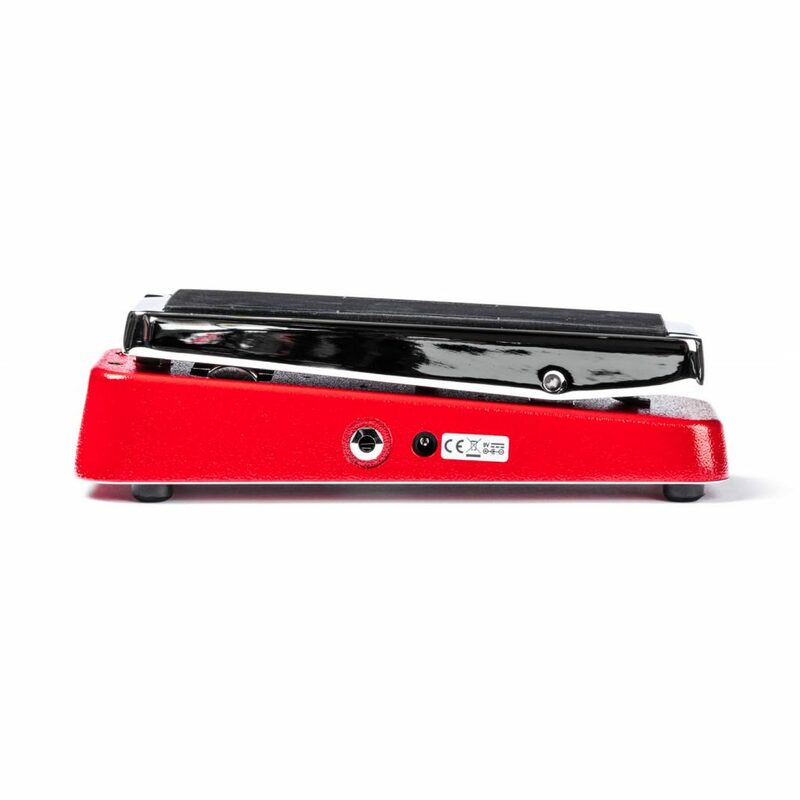 The combination of red paint and chrome looks fantastic, and also helps you avoid mistaking your wah for your Rotovibe, and vice versa. It is powered by either a 9V battery, or via AC adapter. 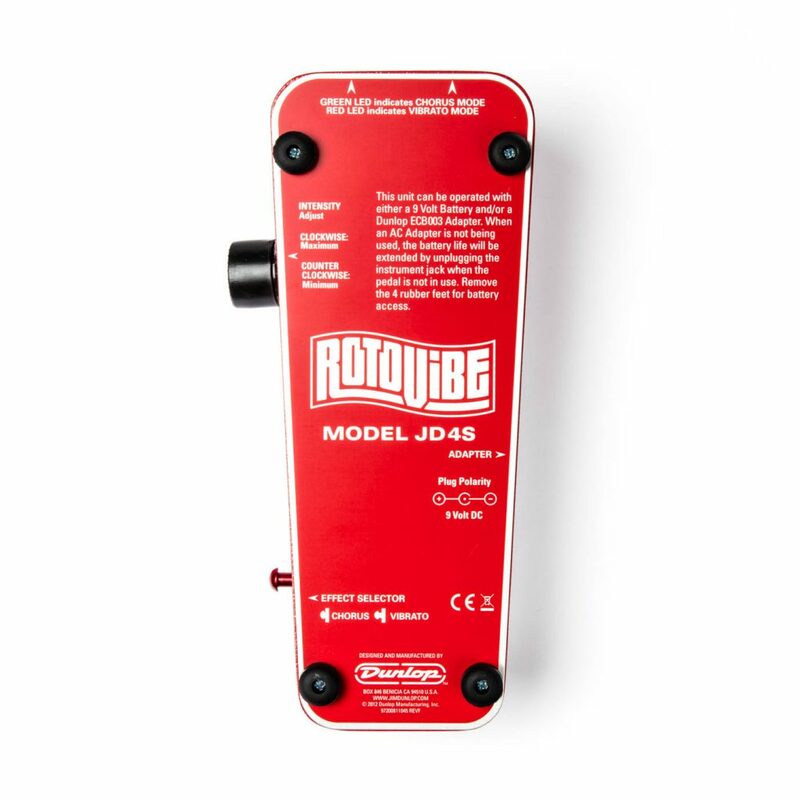 One thing to be aware of when using the Dunlop Rotovibe is that the pedal is engaged in the same manner as a wah: you have to rock the pedal all the way forward to turn it off or on, meaning that you will have to reset the speed control every time you use it. This may not be an issue for you, and if it is, you can always isolate the pedal in your chain so that the pedal itself can remain on and untouched. 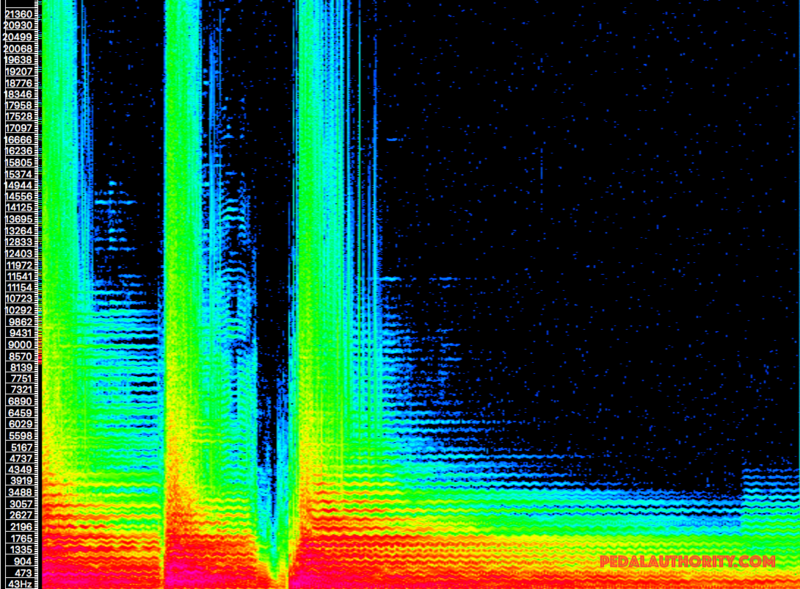 No drastic frequency gouging here. However, notice that even when the pedal is not engaged, it significantly colors the output signal. 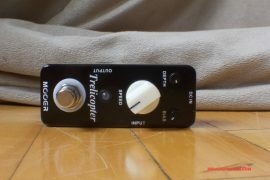 In lieu of true bypass, this pedal provides a buffer, which may actually be a useful addition to your signal chain, depending on where you place it. 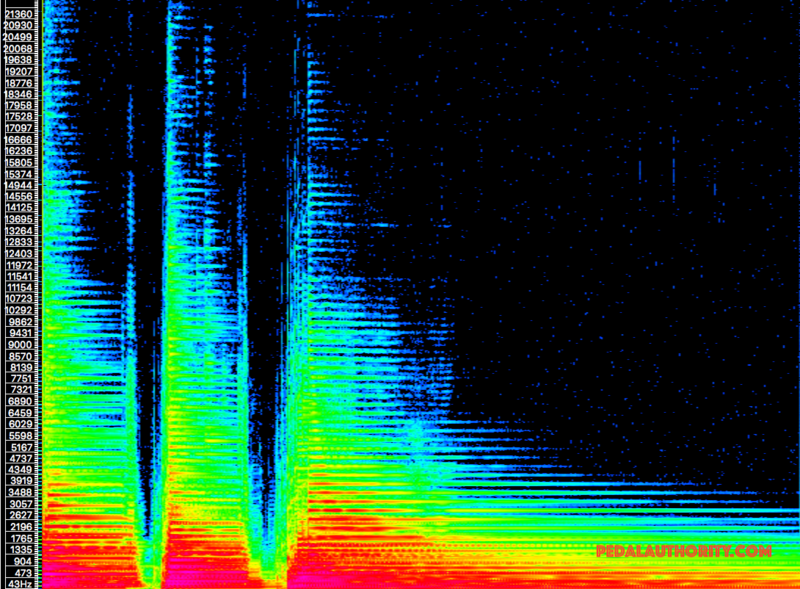 The vibrato is quite visible here. 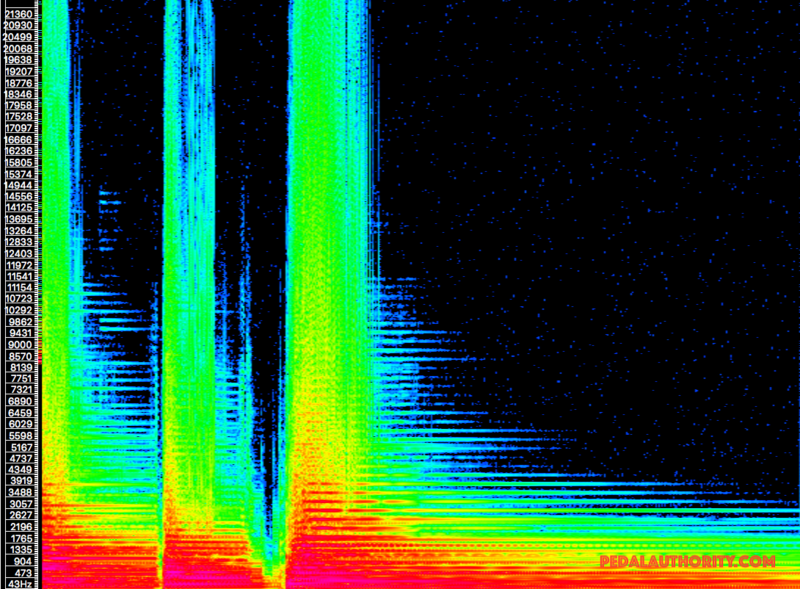 Notice the squiggly lines…those represent the regular frequency fluctuation that we perceive as vibrato. 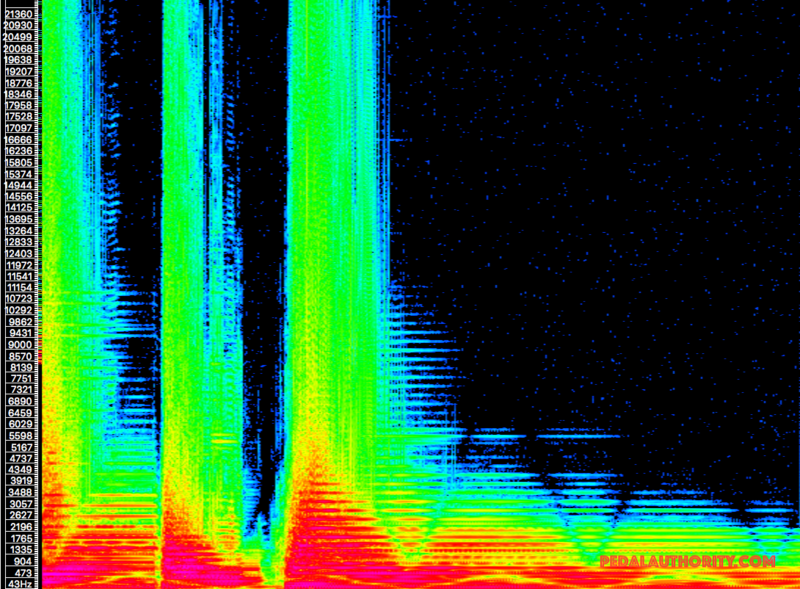 The chorus effect is already visible here, despite the minimum depth setting. Notice the “broken” horizontal lines. This graph shows what is essentially the inverse of the previous graph. Despite the low speed setting, you can clearly make out the broad wave pattern (~900Hz to ~6kHz). 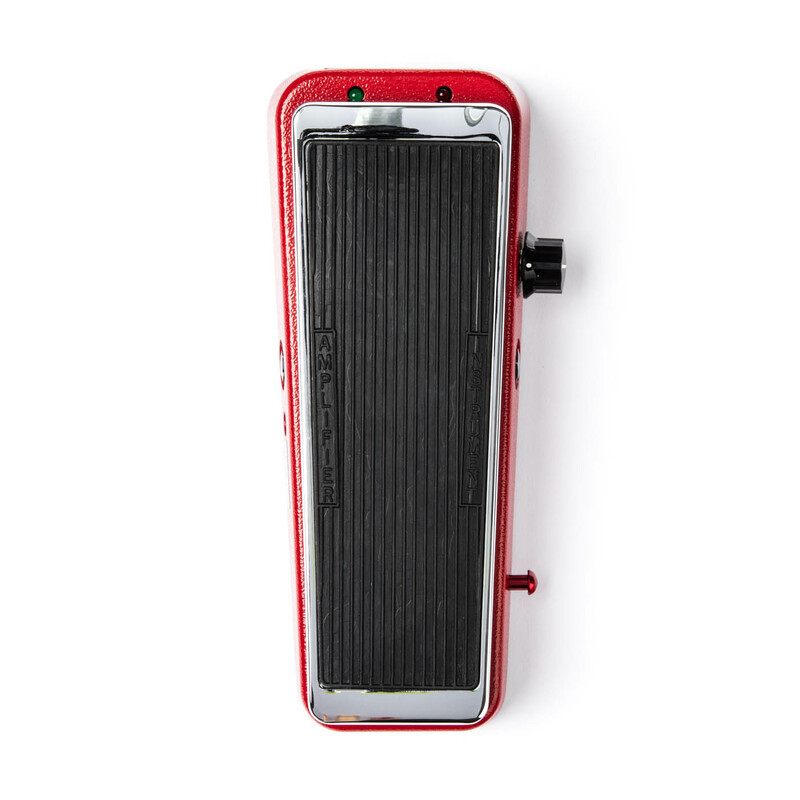 The Dunlop Rotovibe is a versatile, finely built pedal. 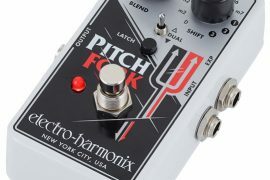 It is a pedal that does not sound quite like anything else, which in our opinion is a good thing. Designed to enable maximum expression, this pedal would make a useful addition to any pedal board. Whether you specifically want those swirly effects, or just want to have a vibrato/chorus pedal that is very well suited to live performance, the Dunlop Rotovibe is a winner. There is definitely a reason that this pedal has a history of appearing on the pedal boards some of the most influential guitar players of the last few decades.